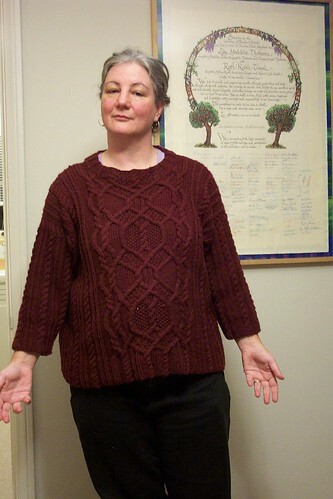 Okay, here's the posed shot of Lise in her Byzantine sweater, after the candid shot before. See what I mean? She knits a mighty fine sweater, you've gotta admit.